of international speakers. Ordered Universe team members were here in strength, Giles, Hannah, Tom, Richard and Cecilia, alongside many others. After the opening, separate panels ensued, a paper on the De luce and Le Maitre’s advocacy of the expanding universe by Noé Badille (Arizona State University), which provoked an interesting discussion, and Giaccino Curiello on God as Being and Goodness: Transcendentals in Grosseteste’s Commentary on the De divinis nominibus. A great, relaxed, but stimulating atmosphere, right from the beginning, and the panel format allowed speakers to make their comments more fully than a simple 20 minute paper, with more fully developed question sessions. Three papers followed, Nicholas Temple on Grosseteste and the Conceptualisation of Architecture, Mark Hocknull on George Boole and Grosseteste: Estimations and Parallels, and our own Hannah Smithson on Colours of the Rainbow: Grosseteste’s 3Dimensional Colour Space. Again, a cornucopia to choose from. 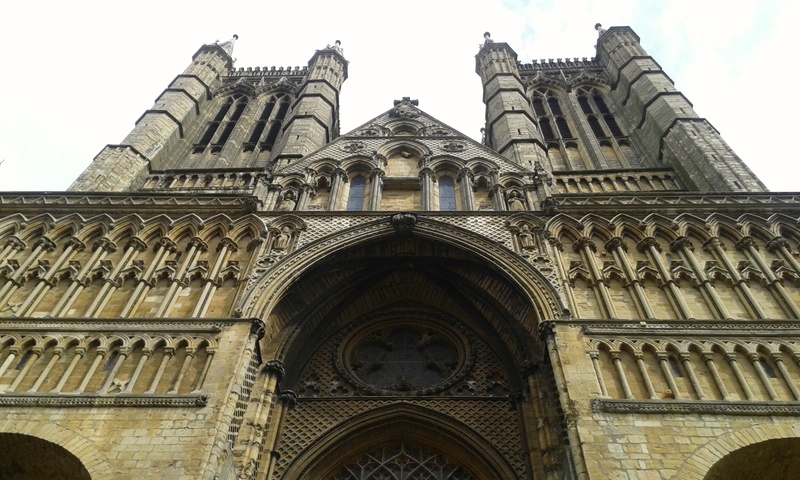 Nicholas Temple’s collection of essays from the last Lincoln Grosseteste Conference is soon to appear from Ashgate: Bishop Robert Grosseteste and Lincoln Cathedral, Tracing Relationships between Medieval Concepts of Order and Built Form. George Boole and Grosseteste, two famous sons of Lincoln and both famed for their interest in mathematics was equally fascinating; Boole knew Grosseteste’s De lineis. Lines and angles are all important too for Grosseteste’s study of the rainbow. 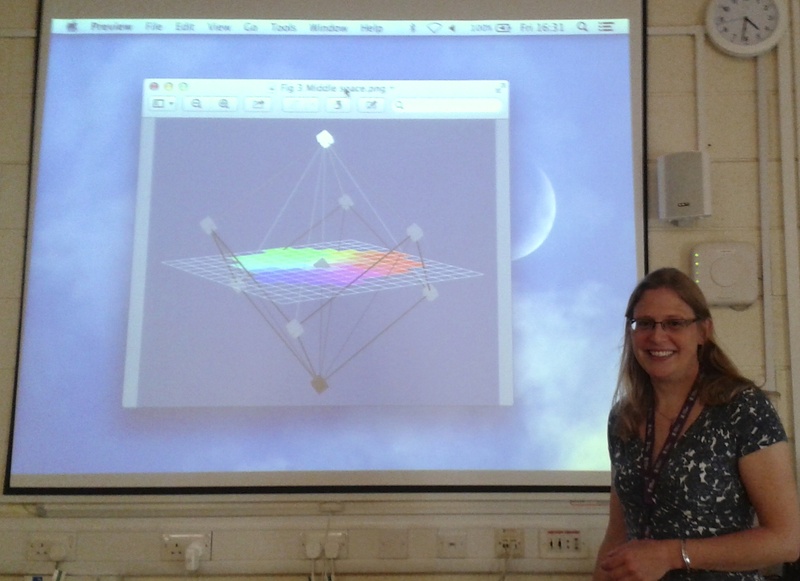 Hannah showed the links between the De colore and the De iride, and the mapping of a natural rainbow in a modern conceptual colour space, with some amazing pictures of a rainbow at sunset, and the CIELAB colour space projection of the rainbow as perceived in the human eye. Human colour vision and the rainbow are two constants we can assume between the 21st and 13th centuries, the implications of which are important. The first keynote then followed, Giles Gasper on Grosseteste’s Hexaemeron, and the place of scientific thought in biblical exegesis. A lovely dinner and a tour of Lincoln, including a few hostelries brought the day to a close.